And here’s my answer to the OMD2 coral challenge. I originally wanted to take the challenge literally and do an underwater coral scene, but wasn’t sure of how successful that would be (and worried that there wouldn’t be enough of the coral color). 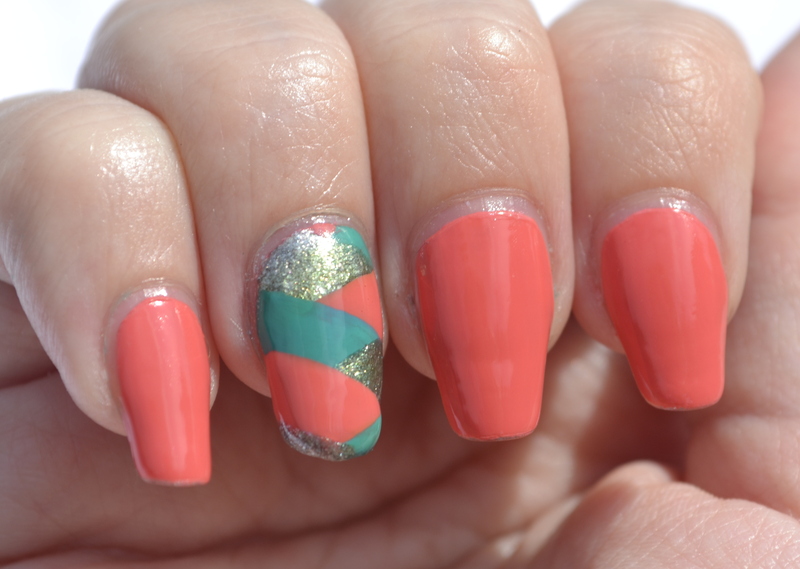 So I did a braided accent nail instead. I had so many problems with this stupid little braid. I have done braids before without any real issues, but this one just did not like me! I must have messed it up five times at least, and as you can see it still has at least one problem. For some reason the silver turned green, like the teal bled through. What is really weird about that is that the silver was actually opaque for a while, but by the time I went outside to take photos, it had turned. Don’t really understand why, but oh well. It still looks nice though. 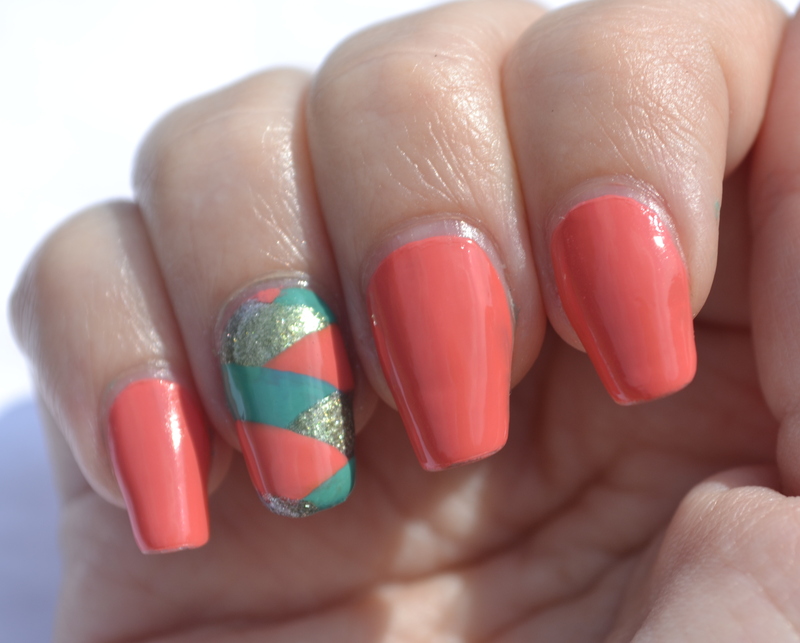 I used Maybelline Color Show Coral Craze, China Glaze Four Leaf Clover, and Kleancolor Silver Spark. 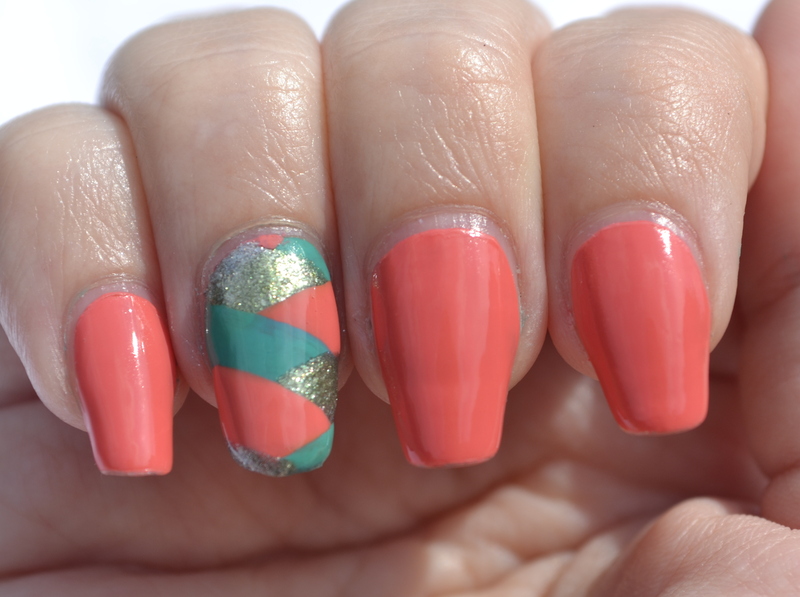 I really like this color combination, especially the coral and teal. And that’s it for this challenge. Now onto the next! The next challenge uses a color that I don’t personally use often: lavender.